This entry was posted in latest news and tagged House Clearances Stirling on December 18, 2017 by admin. We can provide people in Stirling with either full or part house clearances. Whatever you are looking for we can help, there is no job too big or too small for us. When people in Stirling search for companies who can complete house clearances for them they are probably looking for a company who are efficient, friendly, hardworking and who can get the job done as quickly as possible for them when they pick the company who they want to do the job for them. We are proud to say that everything that is described above are the traits that are important to us also. 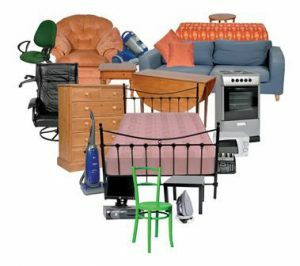 Here at HV Property Clearance we would class ourselves as specialists when it comes to providing house clearances to people in Stirling and all over as we have been doing them for many years now so we are experienced in what we do. Every member of staff who works with us is helpful and do the very best job that they can for the customers who use us. The staff fully understand also though that the items that they handle when they are carrying out house clearances may hold sentimental and emotional memories so they take the utmost care when handling them. When we go out to homes in Stirling to carry out house clearances we can remove everything that you need us to including carpets and heavy items and we can also include garages, lofts, attics or cellars should you need these cleared also. All you have to do is tell us everything that you would like included in the job that you need us to complete for you. So, if you live in Stirling and are looking for a company who carry out house clearances then why not check out our website. If you have any questions or if you need anymore information then get in touch with us and we will happily help you with whatever you need.